Azerbaijan State Symphony Orchestra will perform in Baku. The concerts will take place at the Philharmonic Hall on February 15-16, Trend Life reported. The orchestra will be conducted by Hobart Earle. Hobart Earle is a Venezuelan-born conductor of American descent. In 1983, he graduated from the Faculty of Music at Princeton University. Later, Earle worked at Tanglewood Music Center and trained at the Vienna Academy of Music. In 1987, he founded a chamber orchestra in Vienna. Since 1991, he lives and works in Odessa. He is the artistic director and principal conductor of the Odessa Philharmonic Orchestra. Under his leadership, the orchestra made its debut on the international stage in 1992 at the American music festival in Bregenz (Austria). In November 1993, the performed at Carnegie Hall for the first time in its history. 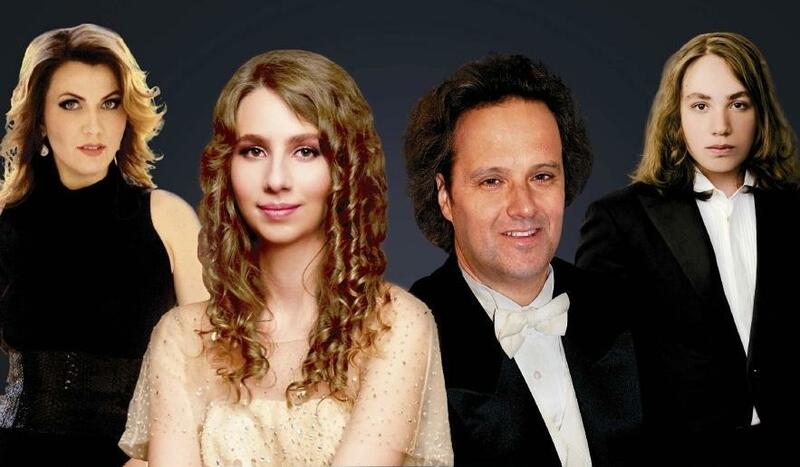 Moreover, Dali Gutserieva (cello) and Ekaterina Lyokhina (soprano) will perform at the concert on February 15. Dali Gutserieva is called one of the most talented young Russian cellists. In addition to the cello, she is professionally engaged in painting and sculpture. Dali Gutserieva collaborates with the Lithuanian State Chamber Orchestra. She performs as a soloist in Finland, Denmark, Iceland, the Czech Republic, Spain, Italy. Grammy Award winner Ekaterina Lyokhina received her first prizes at the competitions "St. Petersburg" (2005) and "Operalia" (Paris, 2007). In 2006, she made her debut at the Vienna Folk Opera as Madame Hertz in Mozart’s opera " The Impresario" and as the Queen of the Night in his work Magic Flute". Currently, Lyokhina lives in Moscow. She has performed in Vienna, Paris, Monte Carlo, Tel Aviv, London, Mumbai. A concert with the participation of young pianist Adam Gutseriev will be held on February 16. Adam Gutseriev is a student of the Central Music School at the Moscow Conservatory. The musician began his stage career at the age of 5; at the age of 12 he became the winner of the 7th Amigdala International Music Competition in Italy. The pianist performs with well-known orchestras in major concert halls in Russia, France, Belgium and other countries. Adam is a student of Professor Valery Pyasetsky at the Moscow State Conservatory. Azerbaijan State Symphonic Orchestra named after Uzeyir Hajibeyli was formed in 1920 being one of the first orchestras in the Soviet Union, at the request of composer Uzeyir after whom it was later named. The orchestra was organized in July, 1920. The first master of the orchestra was an experienced conductor M. I. Chernyakhovski. Authors of many great works of world's music such as G.Mahler, I.Stravinski, C.Debussy, A.Bruckner, J. Brahms and others occupy honorable place in the repertoire of the orchestra. The orchestra is an active participant of "Music of the 20th century" organized by R.Abdullayev and "Festival of M.L.Rostropovich" which is held annually. Since 2007 the orchestra has participated in summer festivals In Italy.